This medal was available only to employees who have suggested an item has to be inserted into the capsule memory, which will open in 2086. It was also offered to senior executives of the company. It contains a small amount of copper obtained by a brewing kettle dating from the late 19th century. 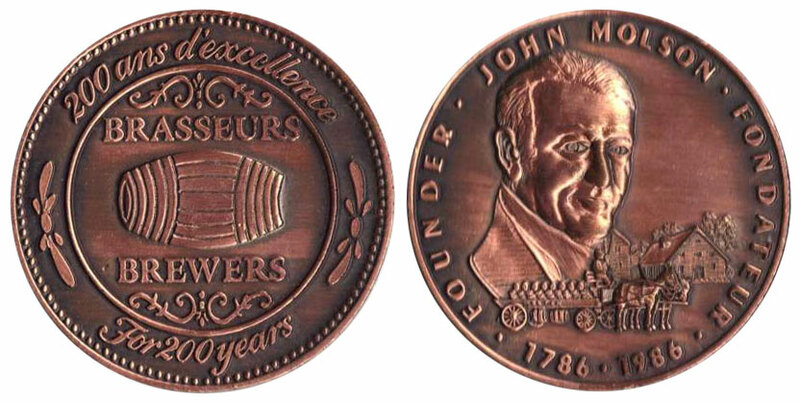 On the medal, there are the figure of the founder John Molson, the first brewery building in 1786 and a delivery wagon, pulled by horses that were used until 1947.